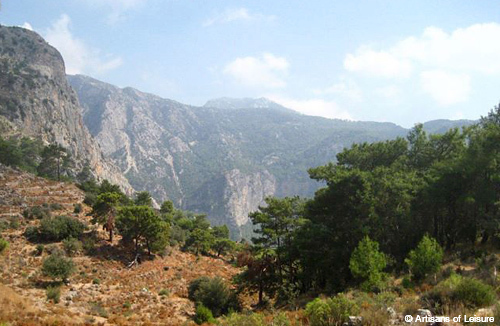 The Lycian Way is a renowned hiking trail that skirts the dramatic Turquoise Coast in southwestern Turkey. 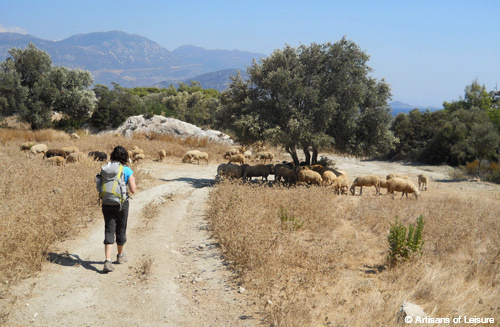 Walking along portions of the trail is an exceptional way to experience the beauty and culture of a less-visited part of Turkey. Highlights include rugged mountains, picturesque villages, ancient ruins and endless views of the sparkling Mediterranean Sea. 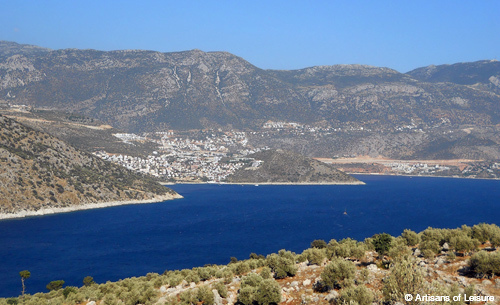 Stretching nearly 300 miles (500 km) between Fethiye and Antalya, the Lycian Way has multiple entry points and options for short walks, day hikes or multi-day adventures. The brilliant blue of the Mediterranean is a constant presence along the route. In quiet coves, the color of the water darkens as the depth increases. Far out on the horizon, the flat expanse of the sea blends into the sky. Known as Lycia in antiquity, the region that the trail passes through changed hands among the Persians, Greeks and Romans before becoming part of the Ottoman Empire. 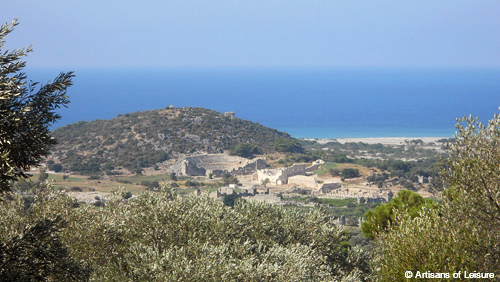 Today, the area teems with archaeological sites. 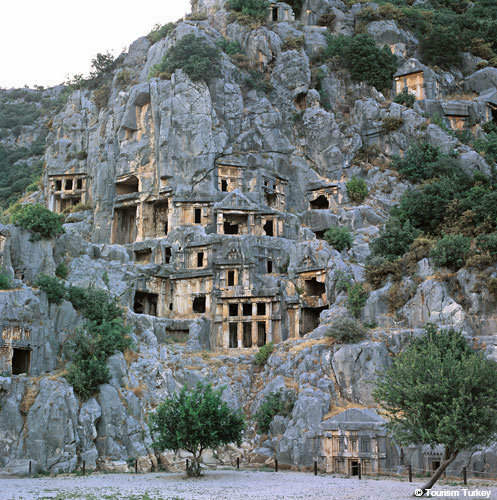 Notable ruins include Lycian rock-cut tombs in Myra and the remains of Patara, an ancient port city that left behind a theater, temple and other structures. 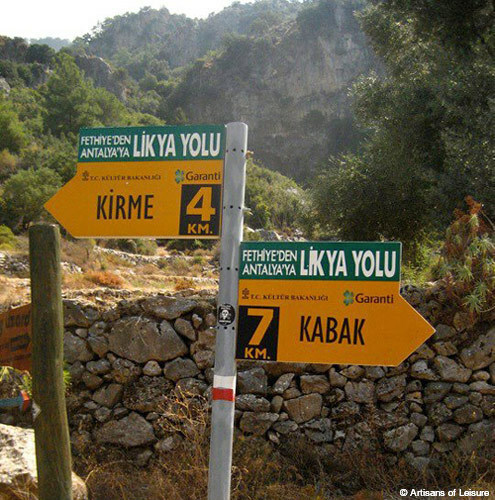 Farming is an important part of the local economy, and much of the Lycian Way (known as Likya Yolu in Turkish) is composed of farmers’ paths, shepherds’ tracks, trade routes and other rights-of-way. 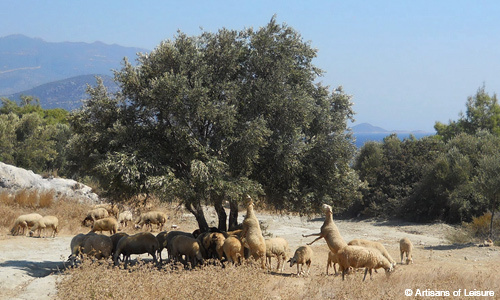 The trail winds past orchards where farmers may be selling fresh squeezed lemonade, vegetable patches with red and yellow peppers soaking up the sunlight, and olive groves in which you might see sheep snacking on a tree. During warmer months, the weather in the region is perfect for paragliding. A popular launch site is the summit of Babadag Mountain (6,460 ft/ 1,969 m). The descent lasts 45 minutes, but the time goes by very quickly. Soaring in the cool wind high above the blue sea, green mountains and white sand is amazingly peaceful. 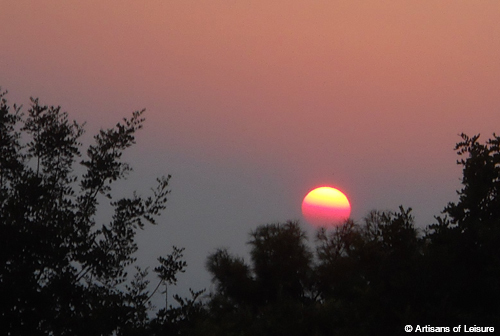 At the end of the day, the sunset over the Mediterranean spreads pinks, oranges and purples across the sky, bathing the land and water in warm light. 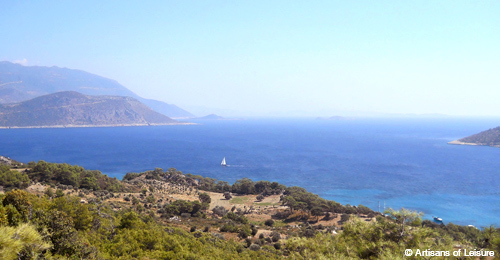 Artisans of Leisure can arrange for travelers to experience privately guided walks, full-day hikes and multi-day adventures along different sections of the Lycian Way as part of a private tour of Turkey. 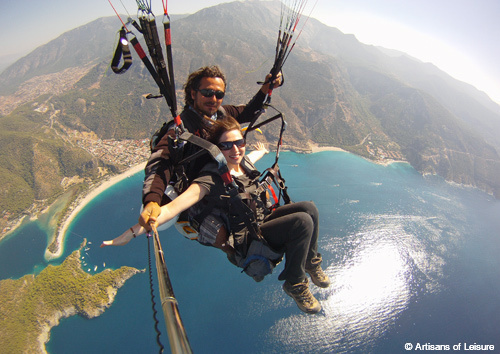 We can also arrange additional activities such as paragliding and boating in the region. Contact us for details.